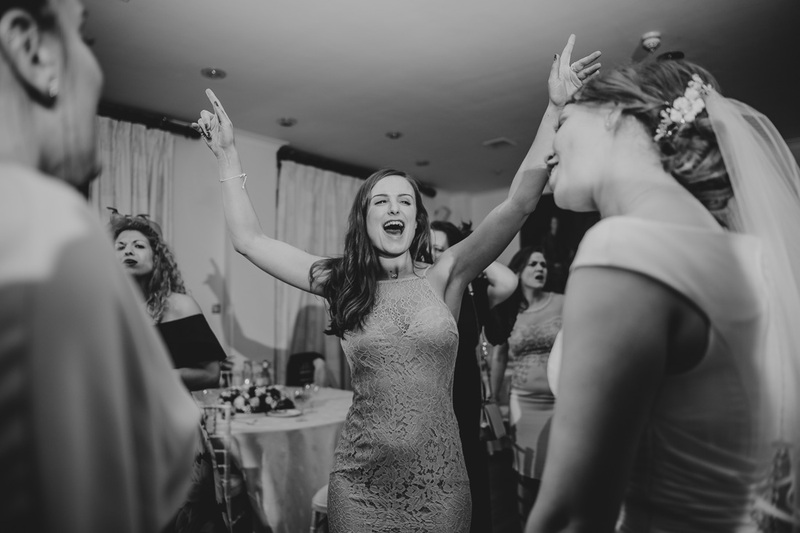 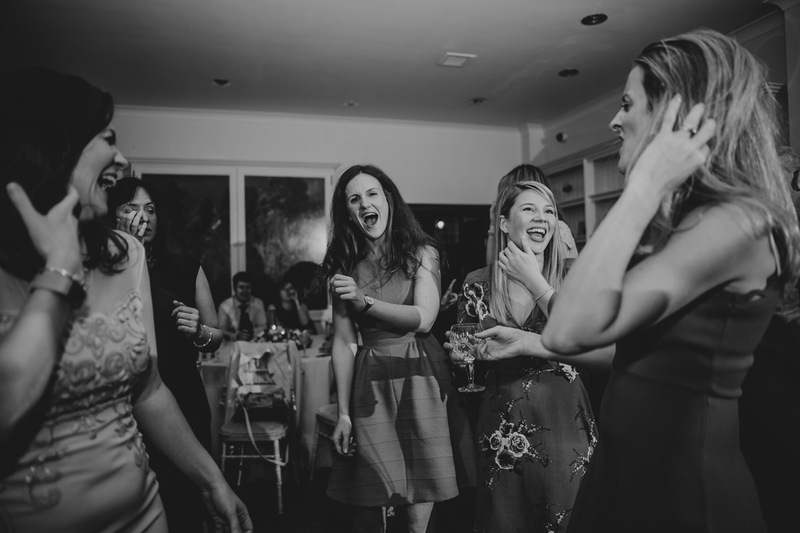 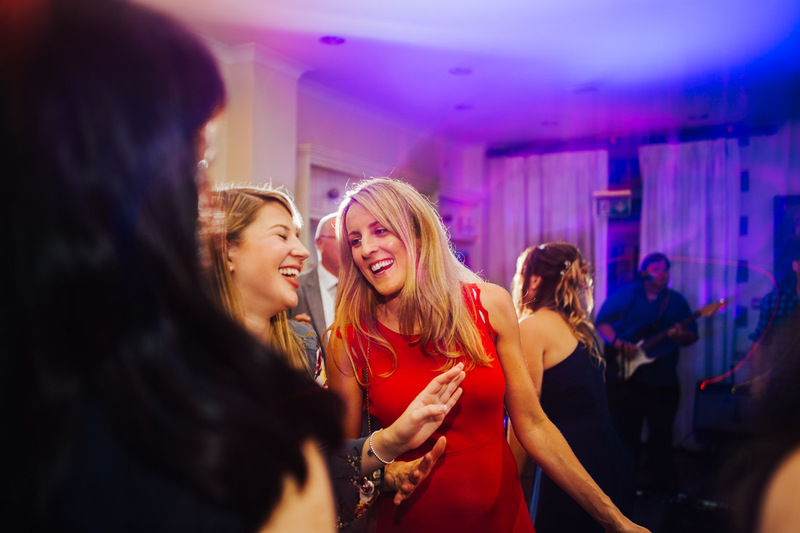 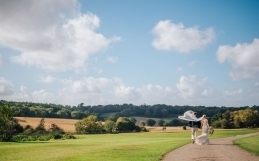 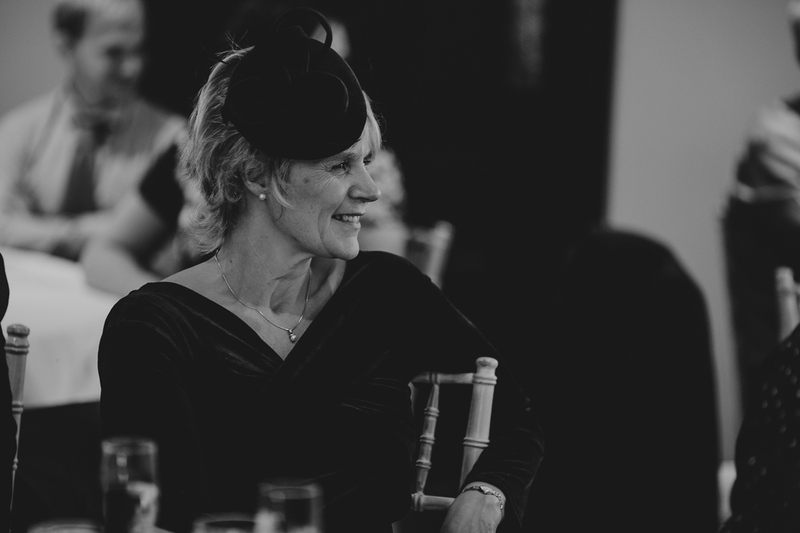 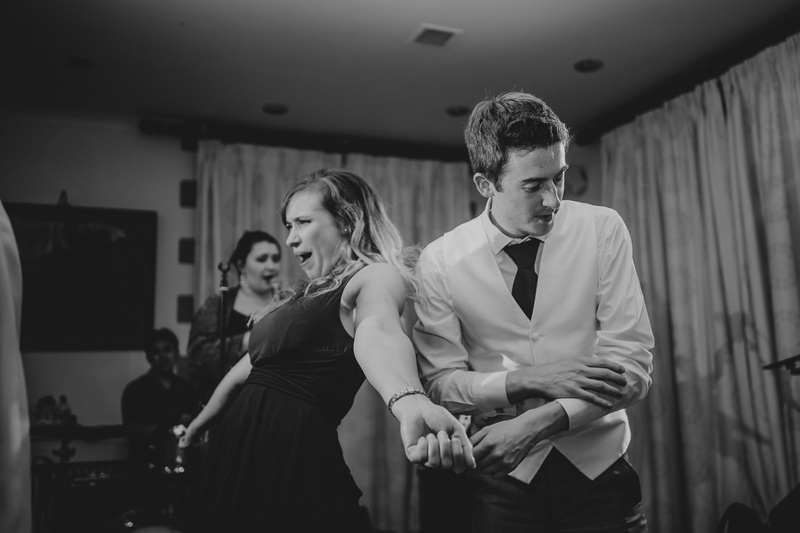 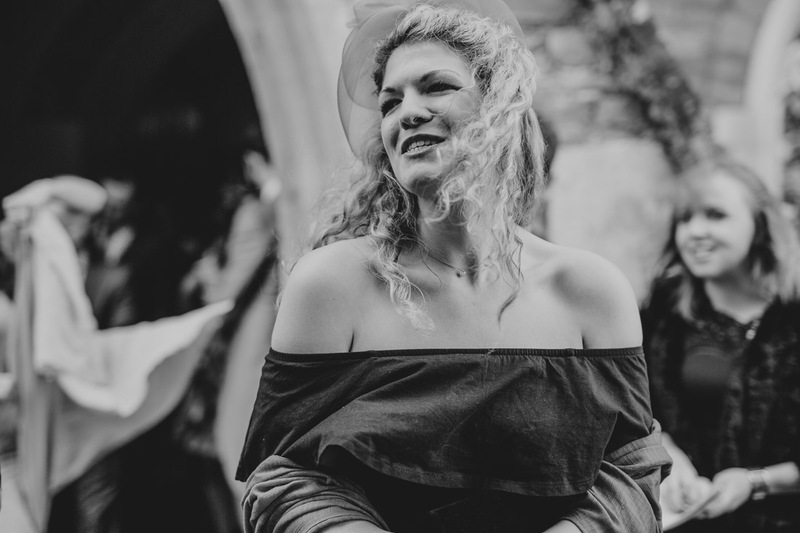 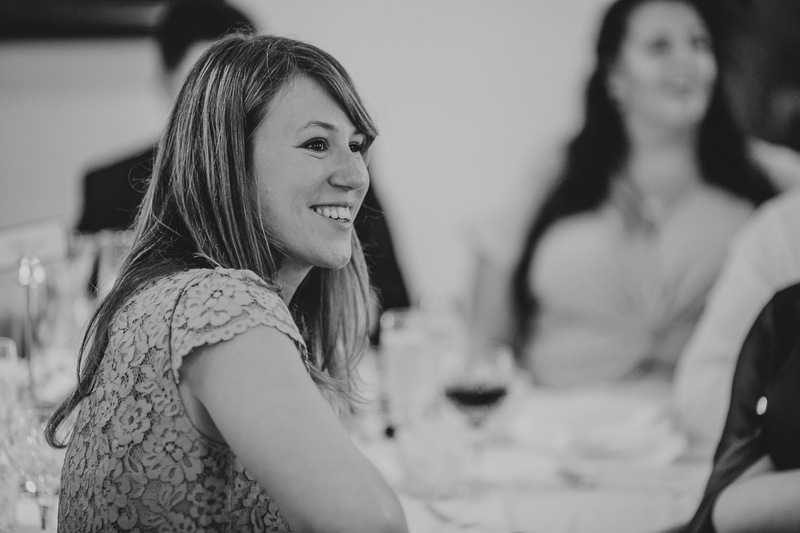 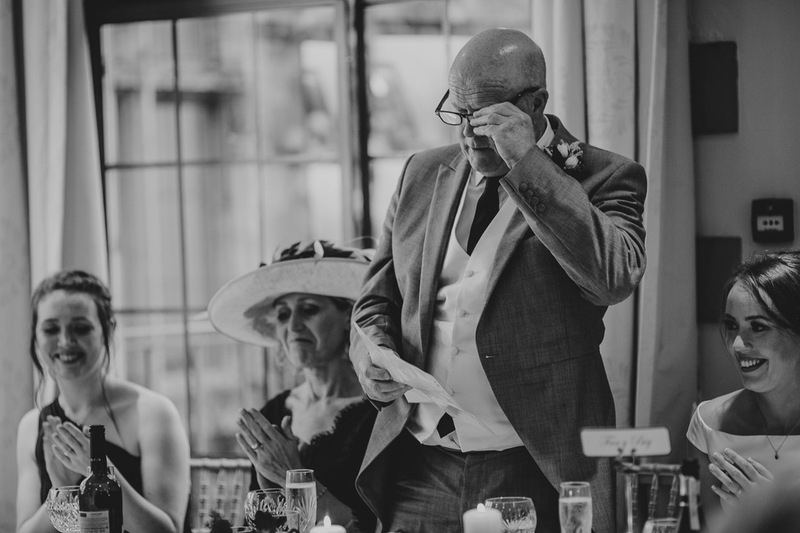 I often get asked if I have any stories from weddings where something a bit different happened, a funny story or when something goes awry. 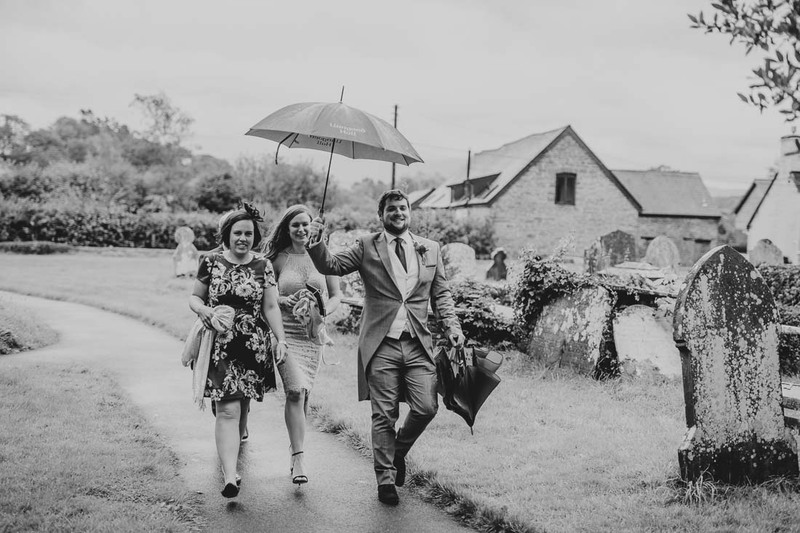 It’s safe to say that when you plan a wedding you never expect there to be gale force winds, entire villages flooded and the ceremony being delayed by almost 2 hours! 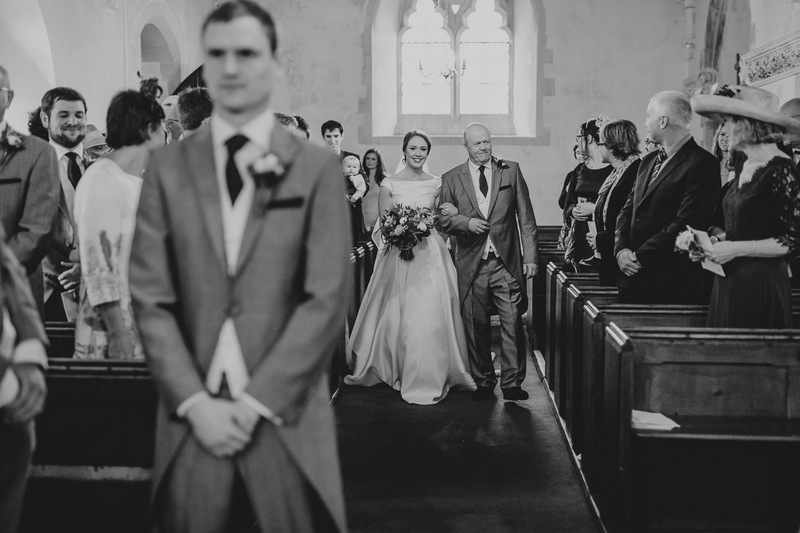 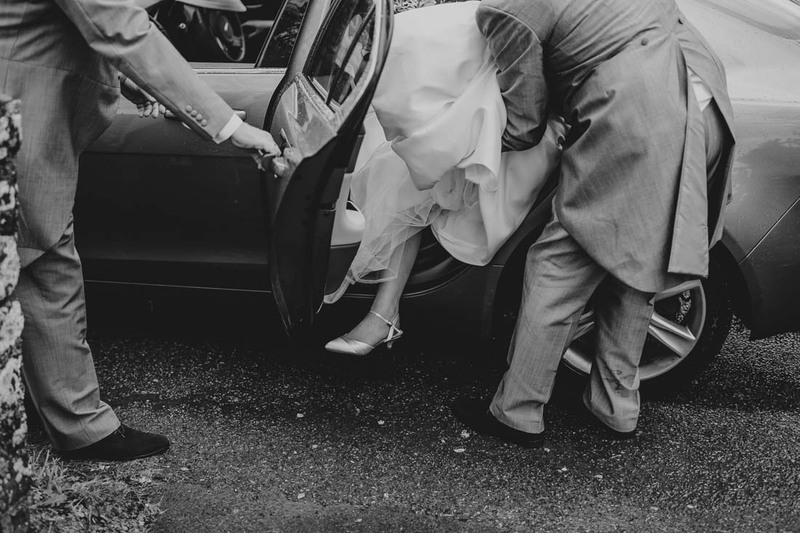 Guests almost didn’t make it, the way to the church was cut off meaning we all had to take a huge detour, water came up almost to my car window at one point – but we made it! 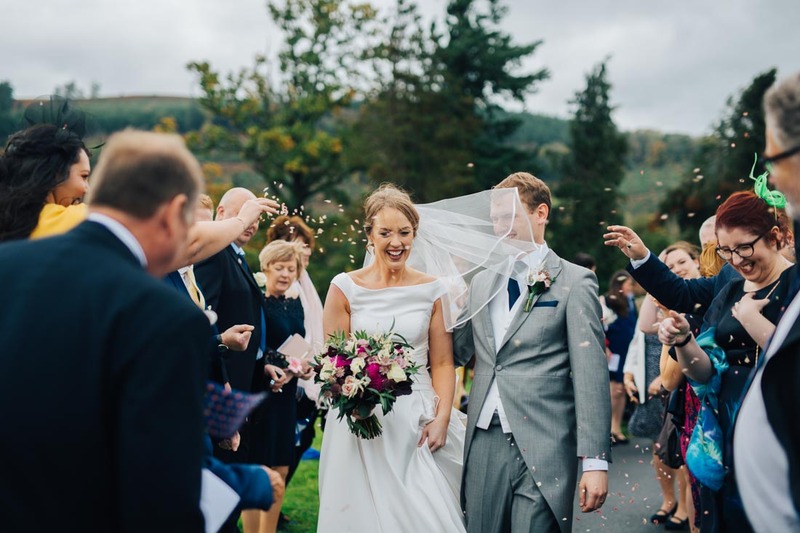 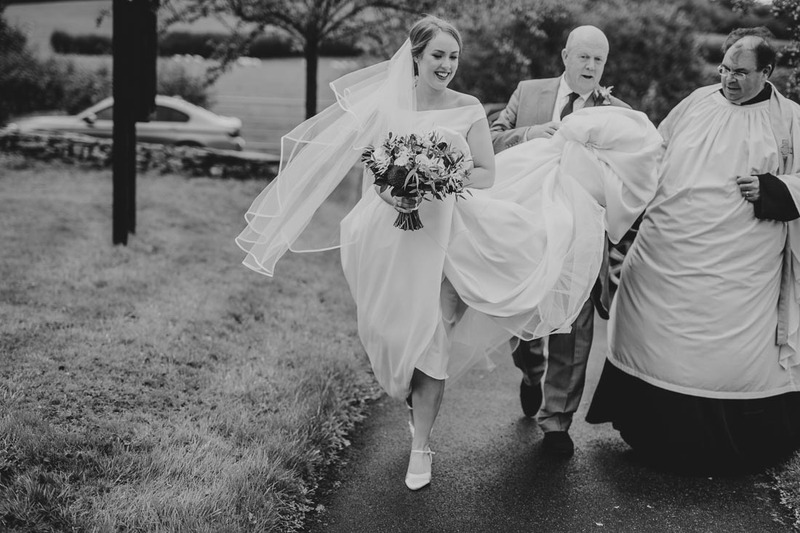 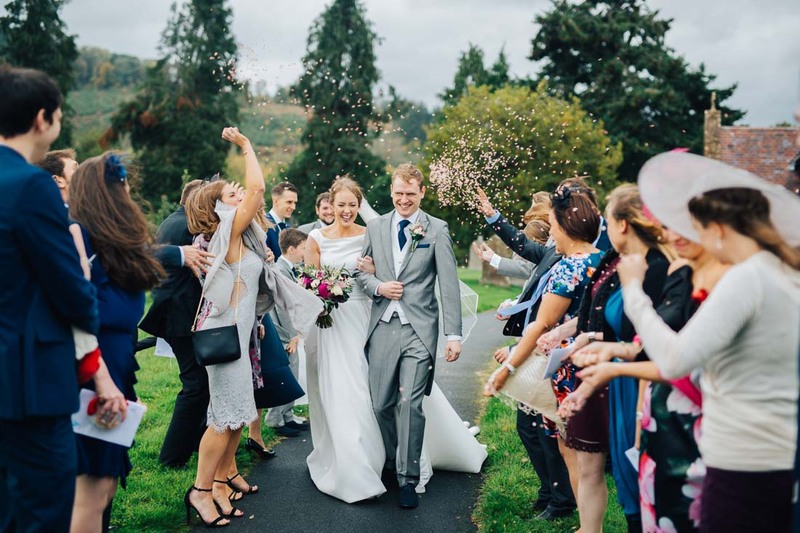 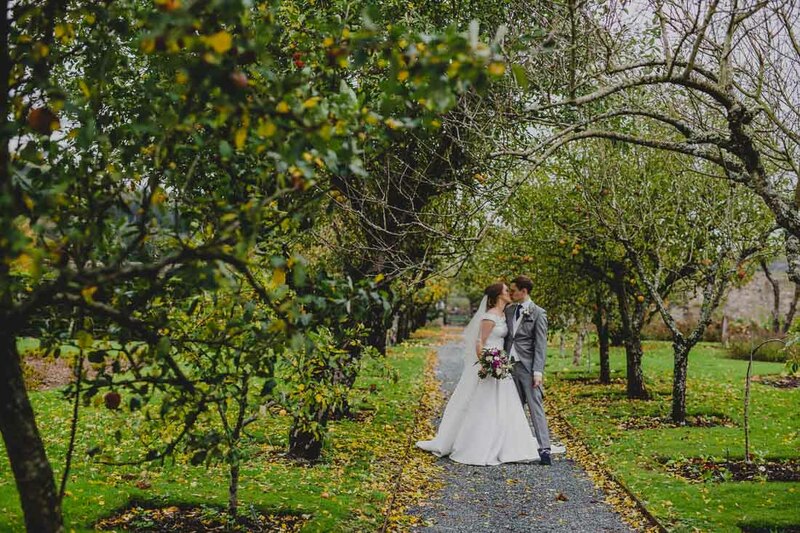 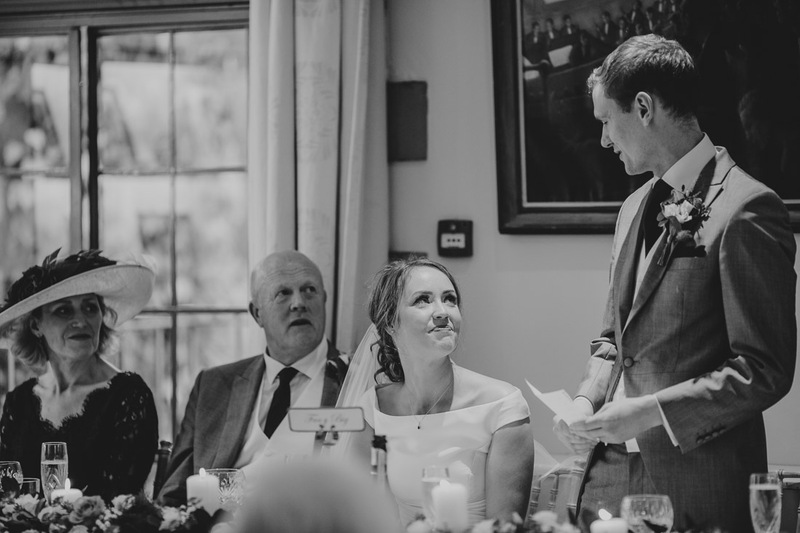 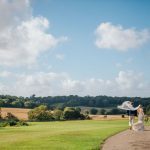 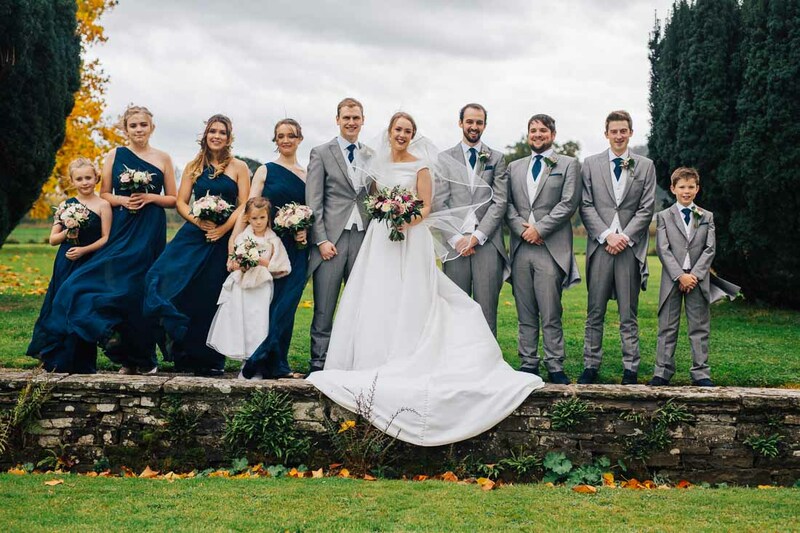 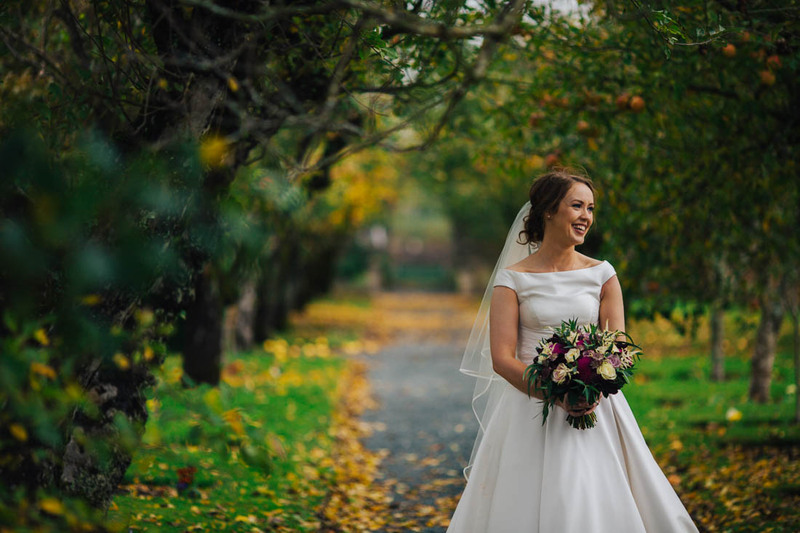 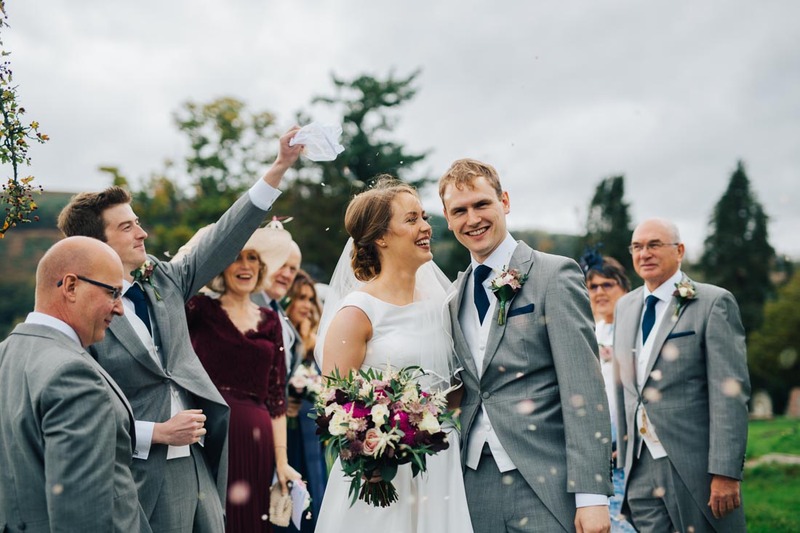 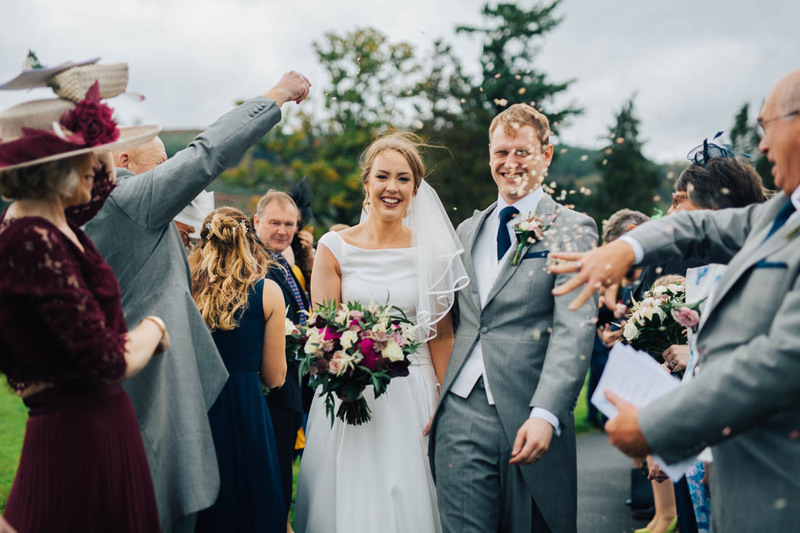 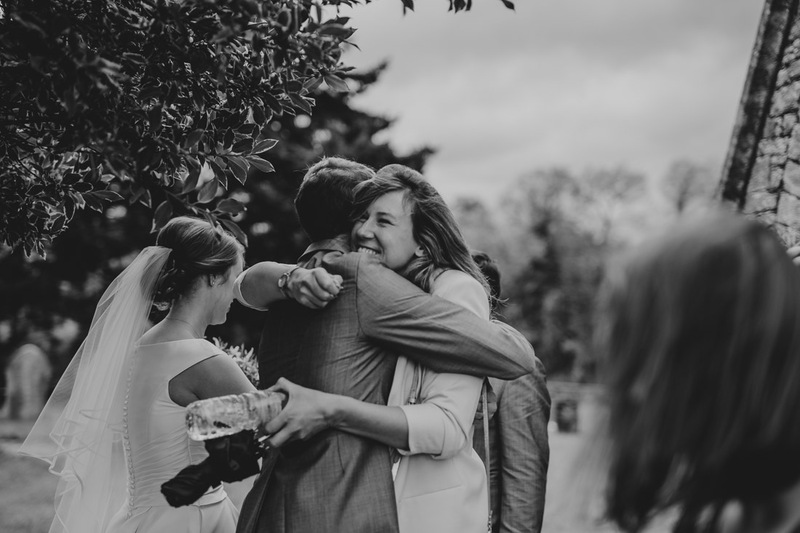 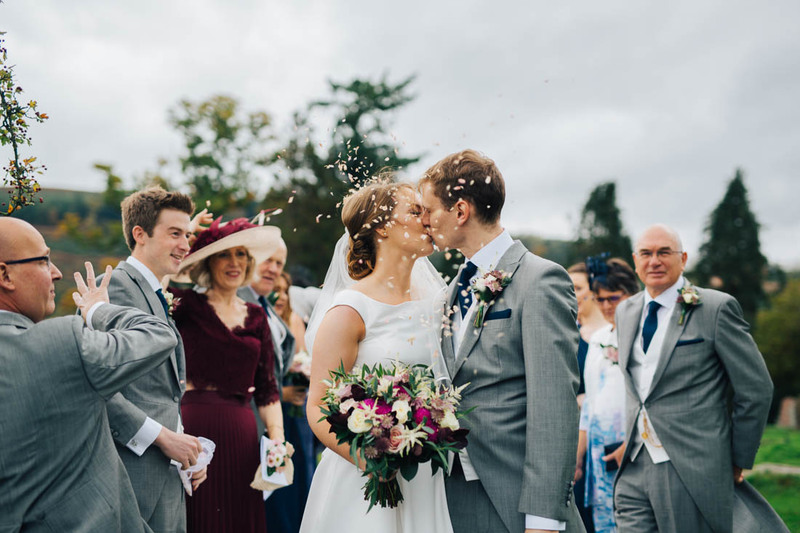 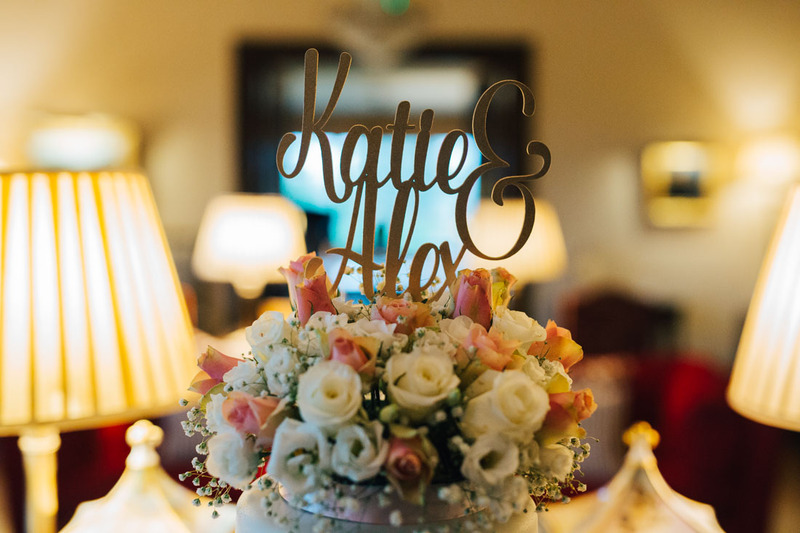 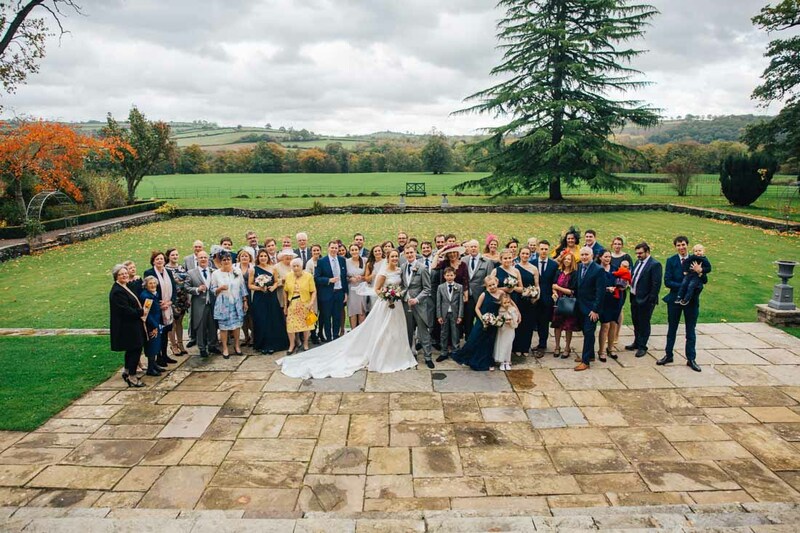 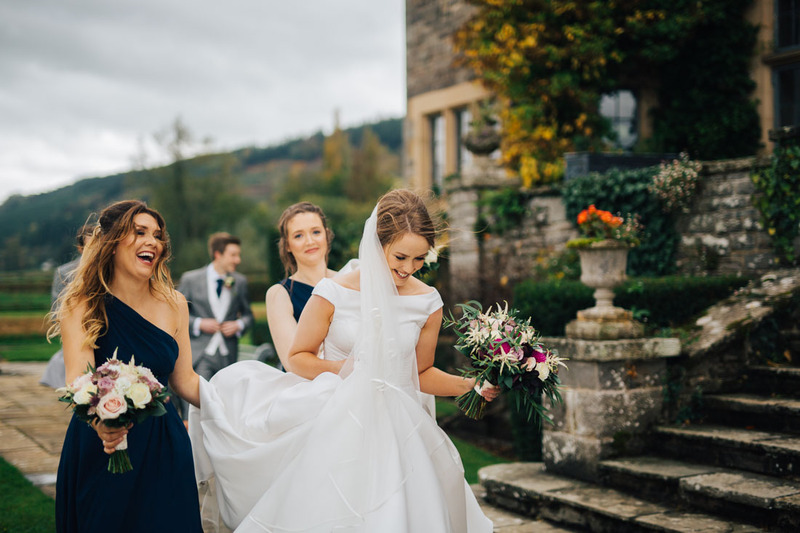 Storm Callum did his very best, but the wedding of Katie and Alex was simply perfect, maybe even because of it. 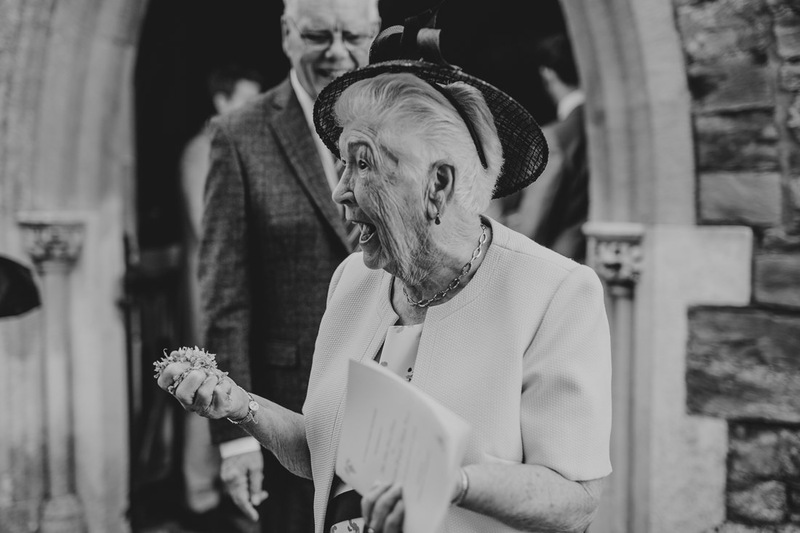 There is nothing like a bit of British stiff upper lip and spirit to get you through some wet weather and make everyone come together to enjoy a good celebration. 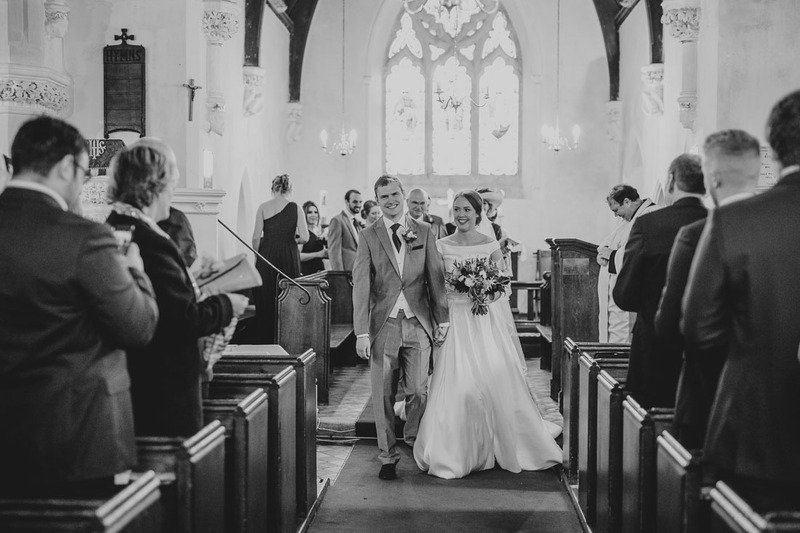 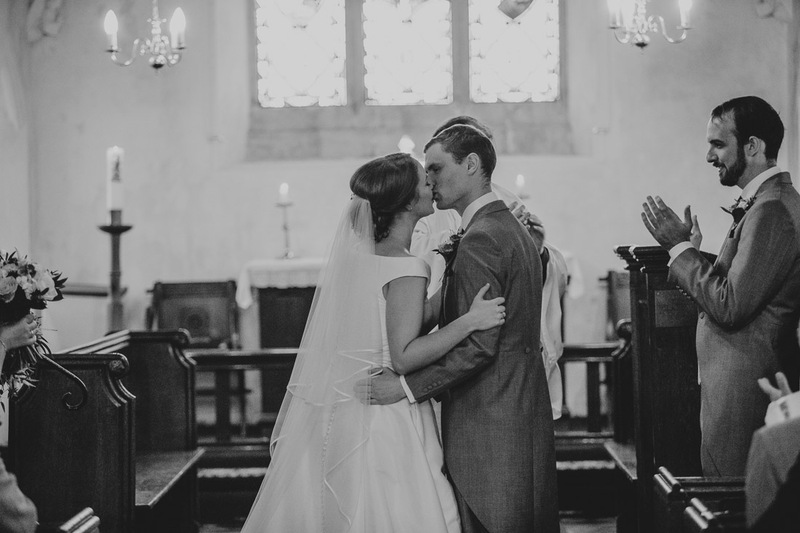 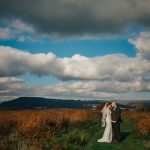 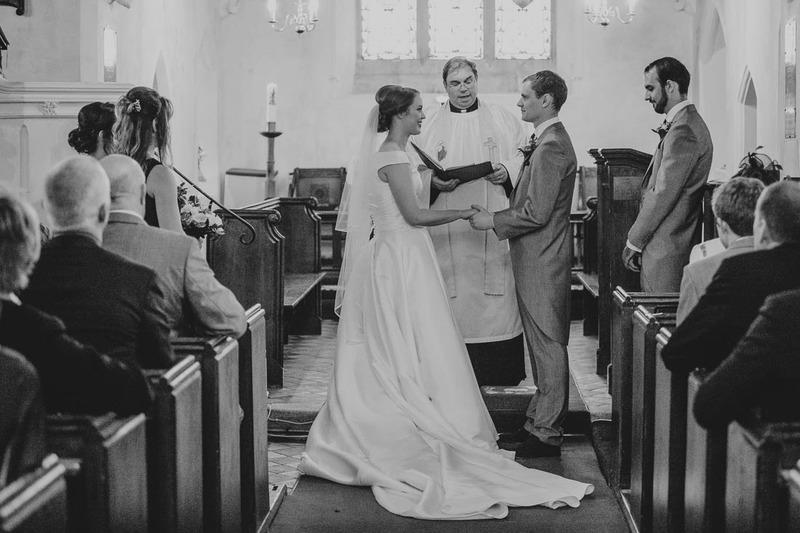 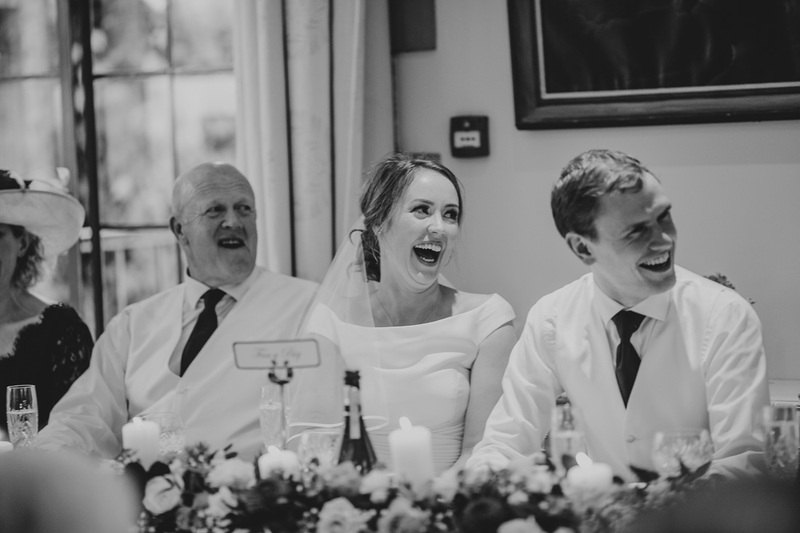 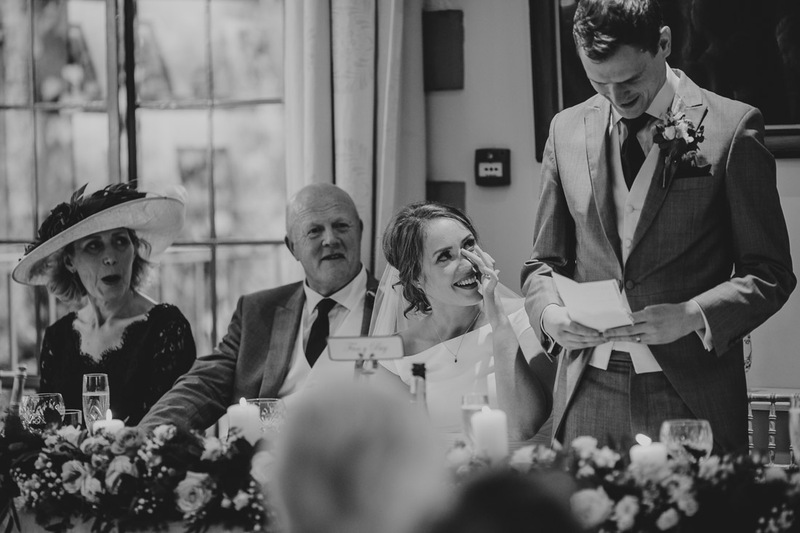 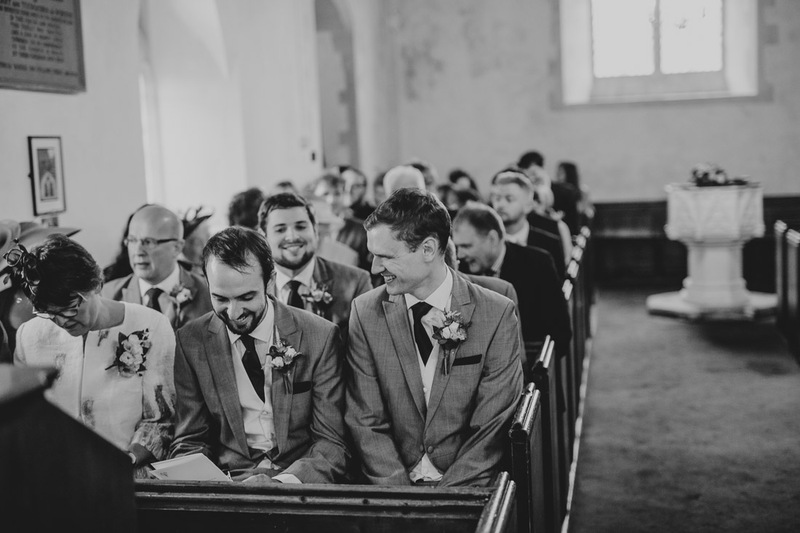 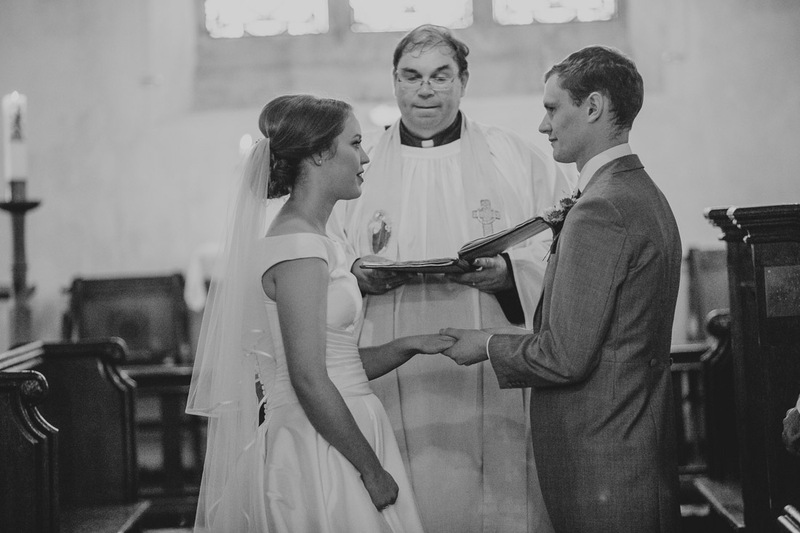 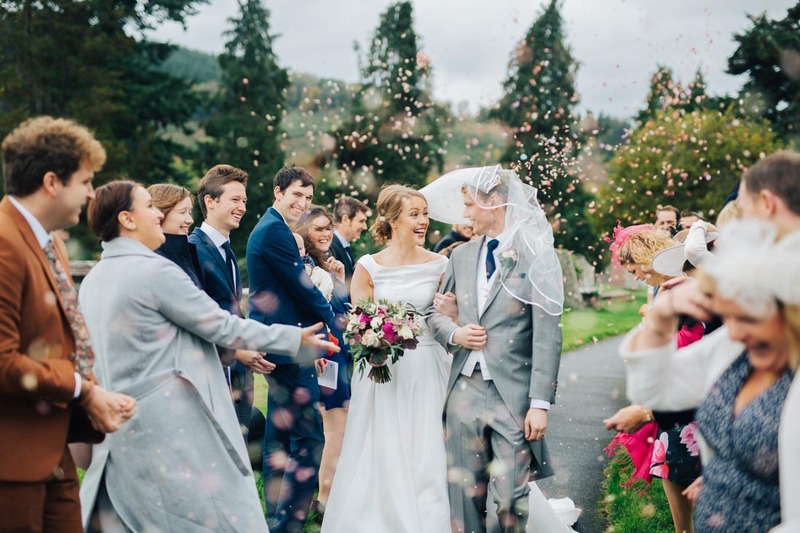 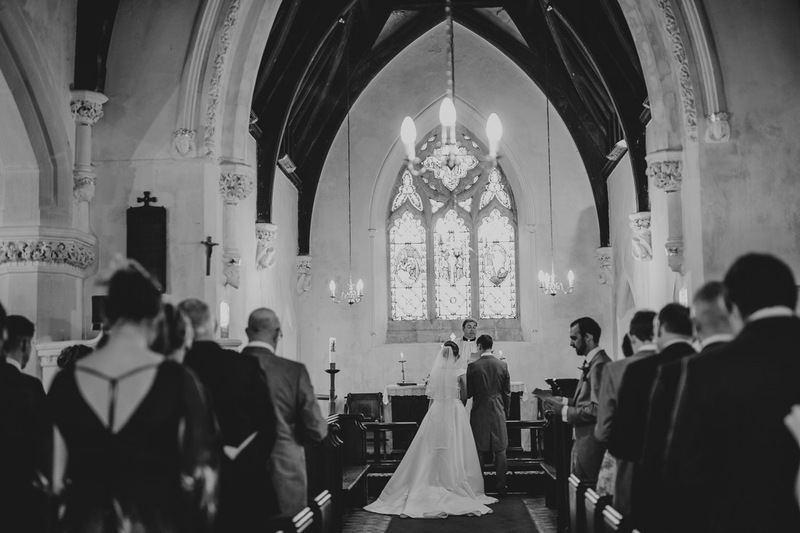 Katie and Alex got married at a church near the beautiful Llangoed Hall with views out over Brecon and beyond. 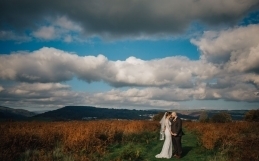 Autumn was beginning to set in and the valleys looked gorgeous. 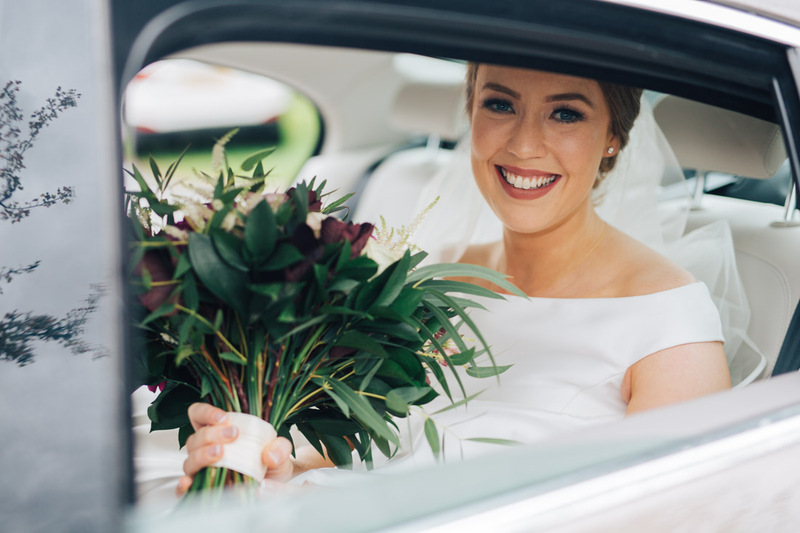 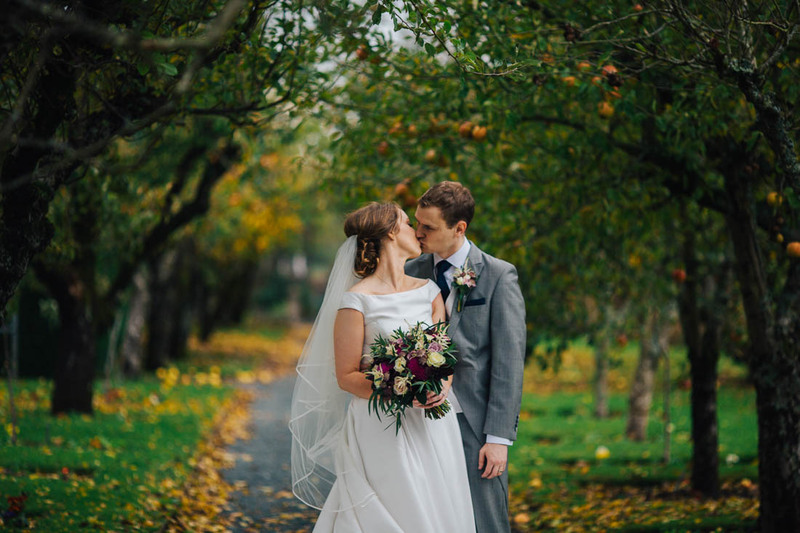 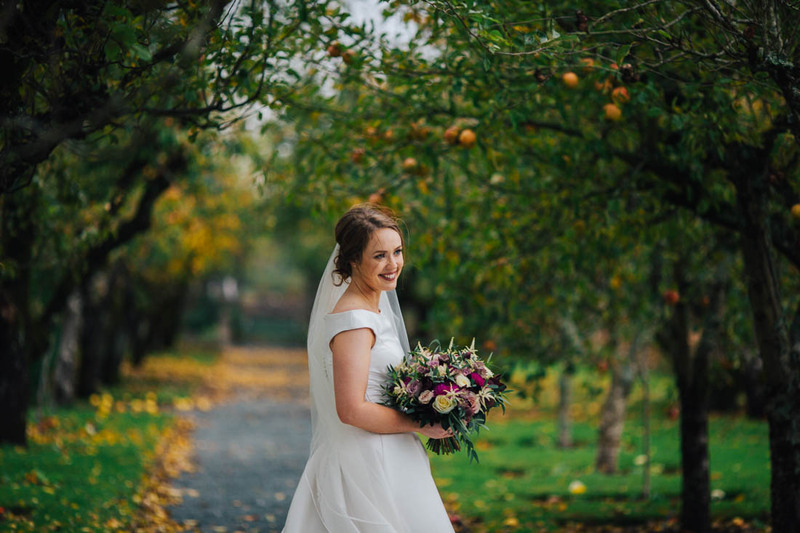 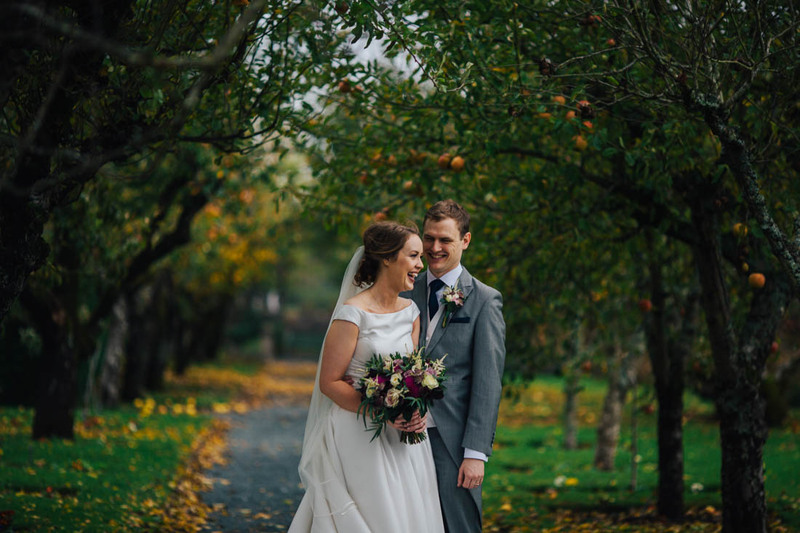 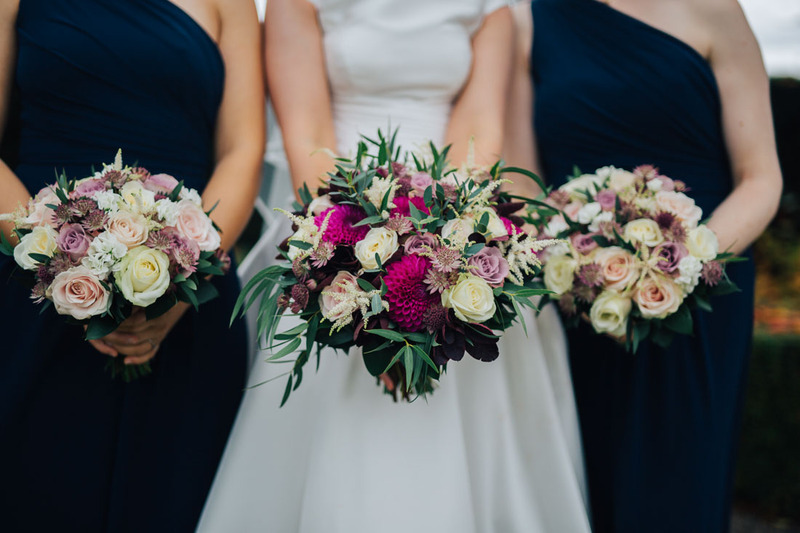 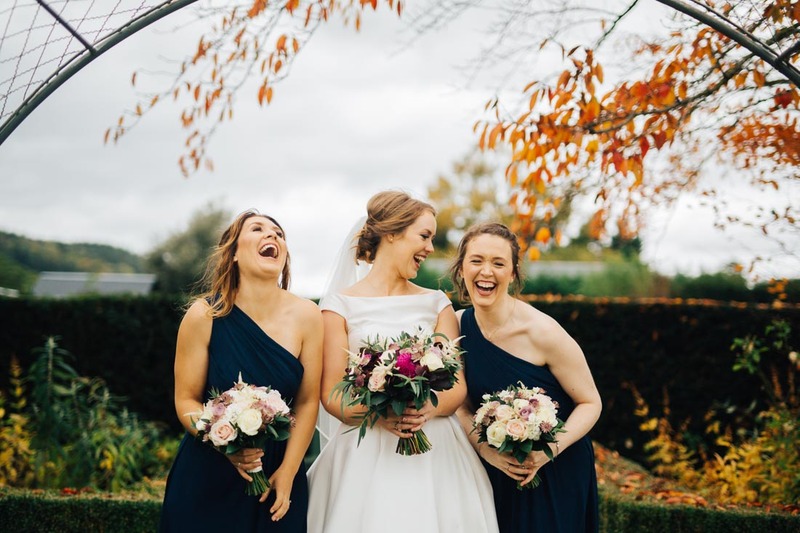 There were subtle touches of autumn in the bouquets and decor and a touch of pink in the cheeks, thanks to the wind. 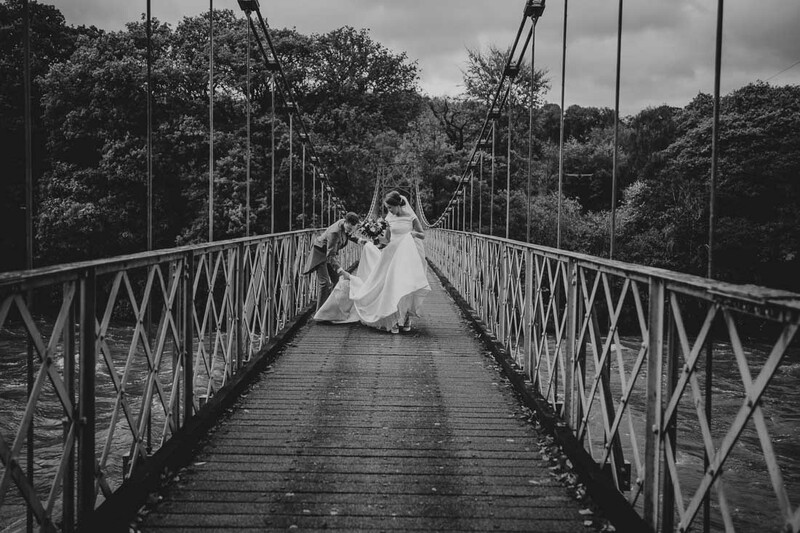 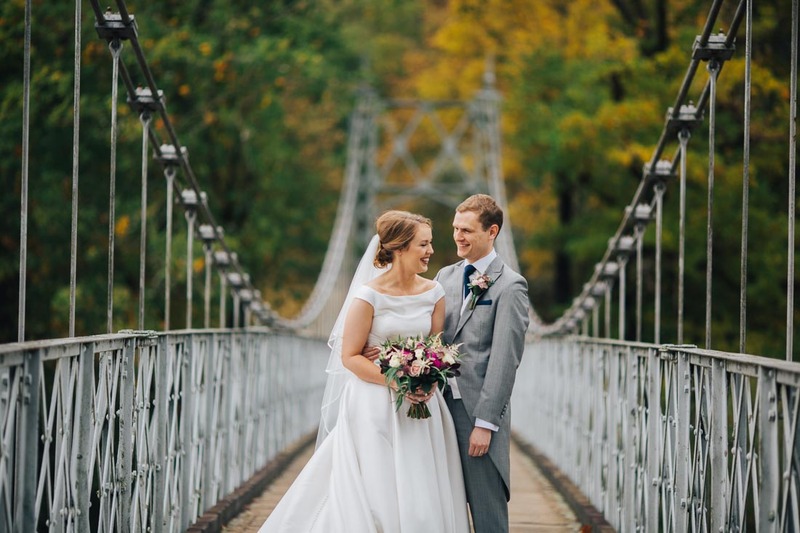 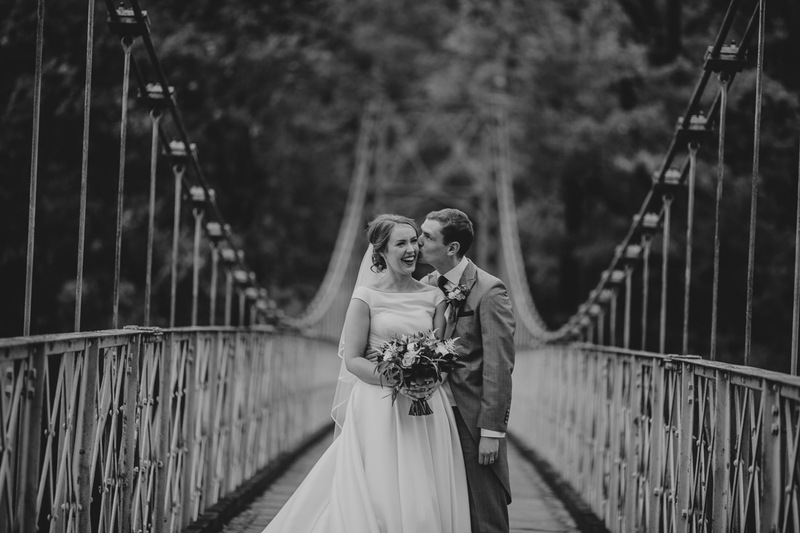 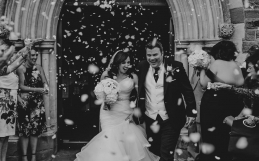 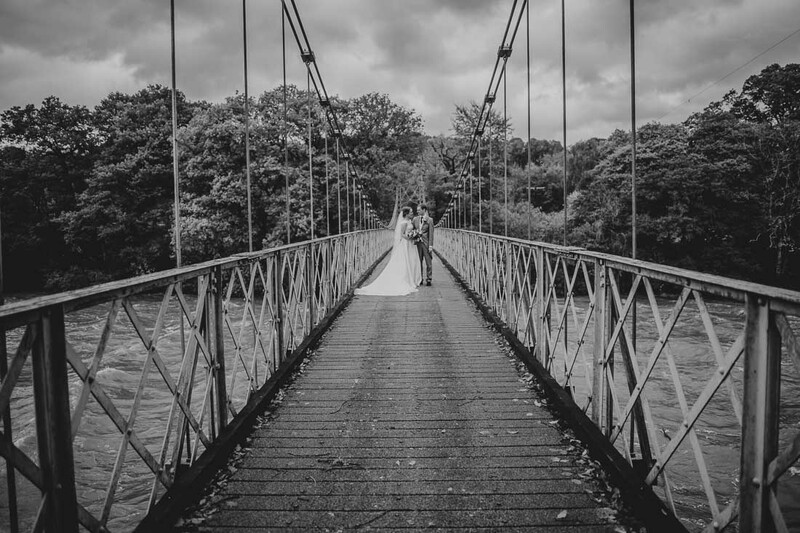 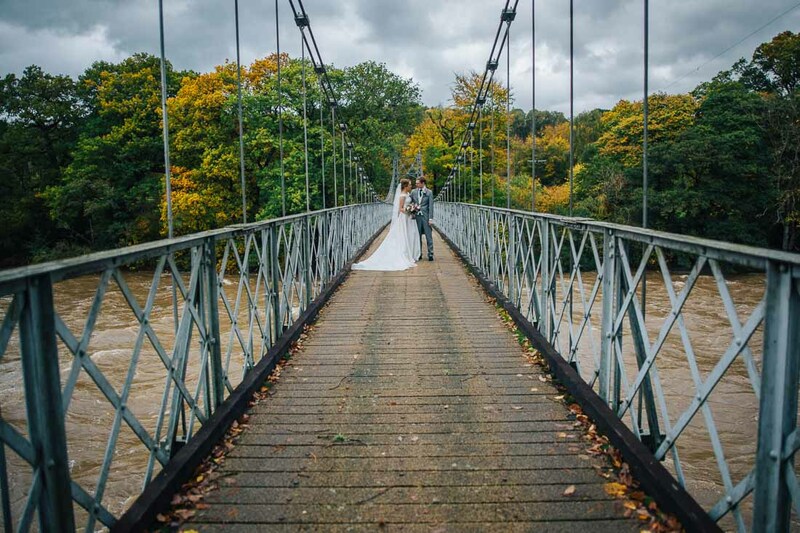 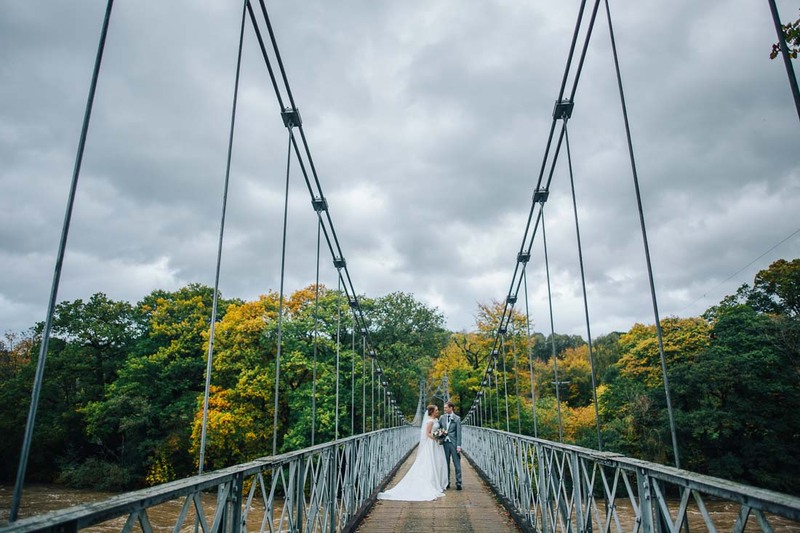 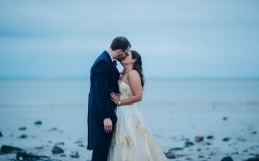 After nearly losing her veil during the confetti throwing, we ventured onto a bridge they’d discovered where the water levels were rising rapidly! 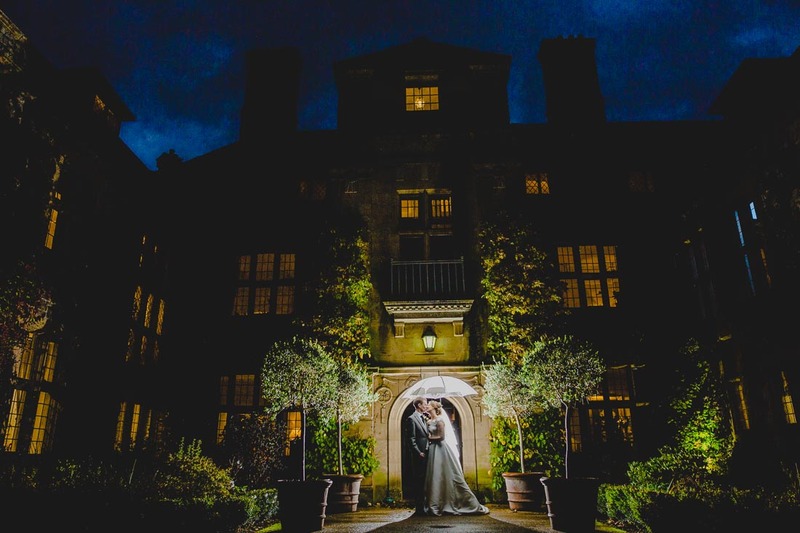 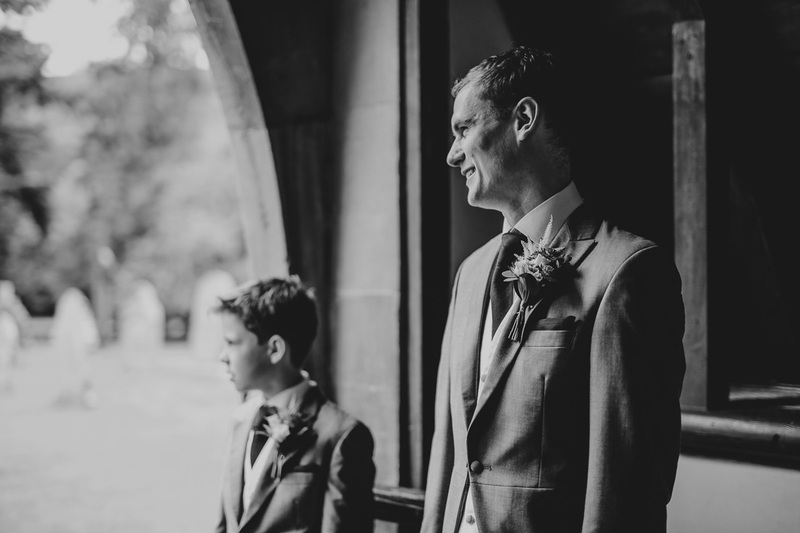 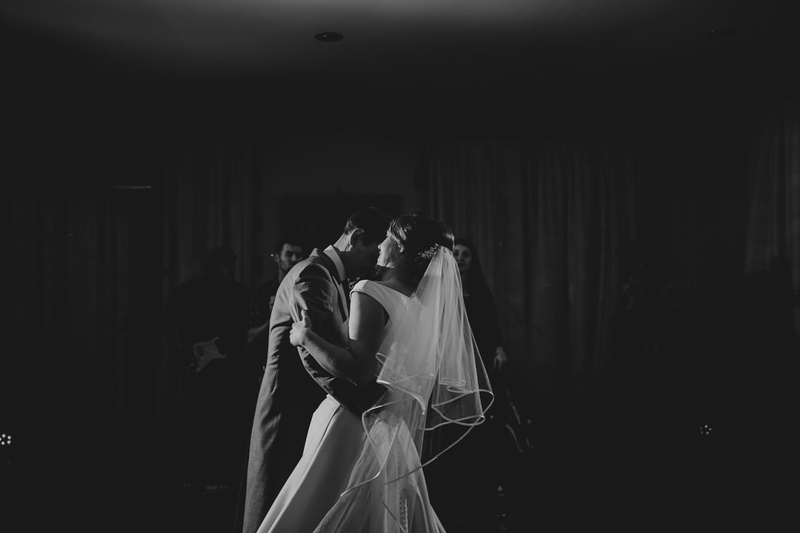 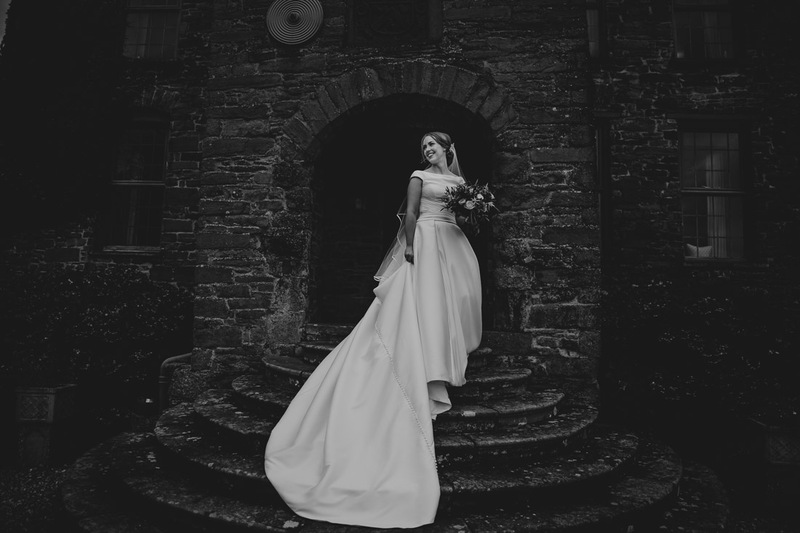 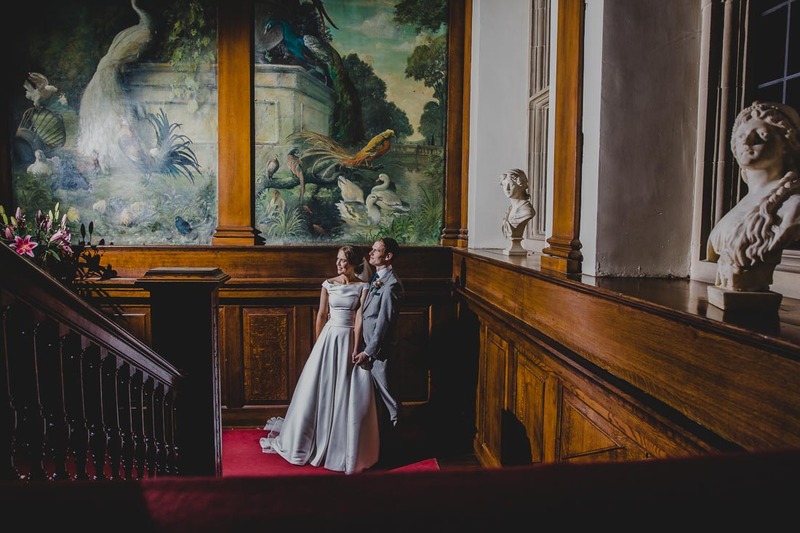 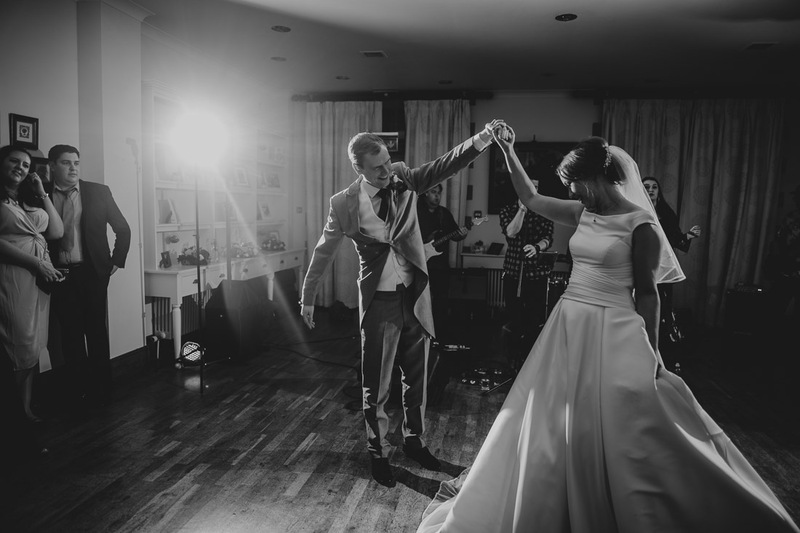 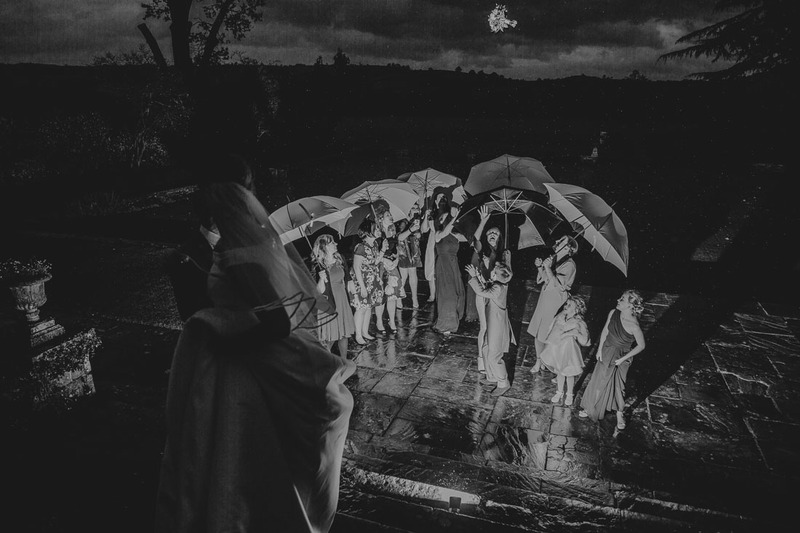 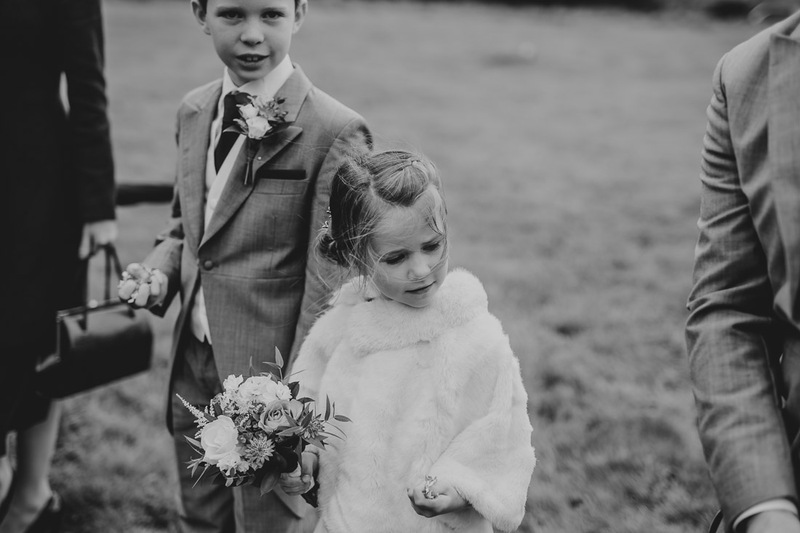 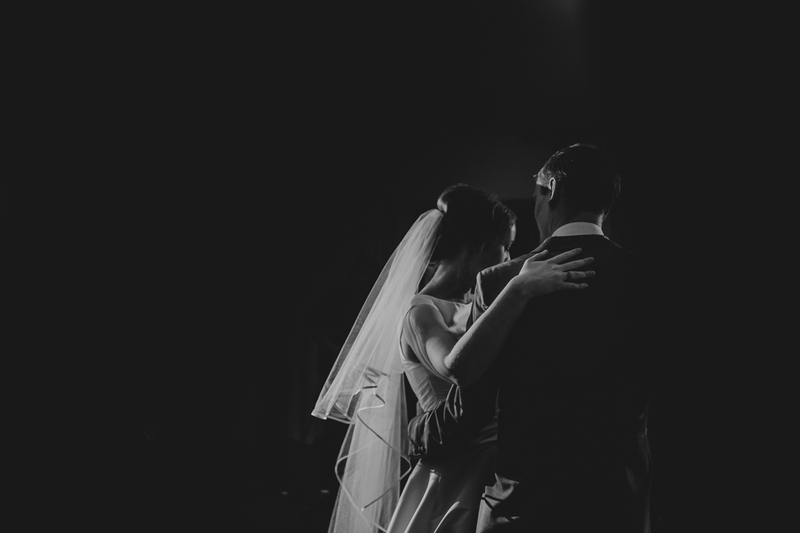 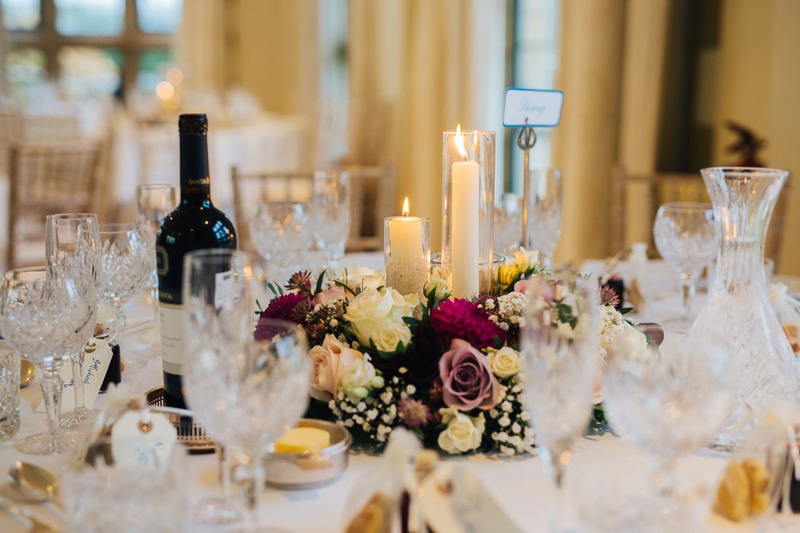 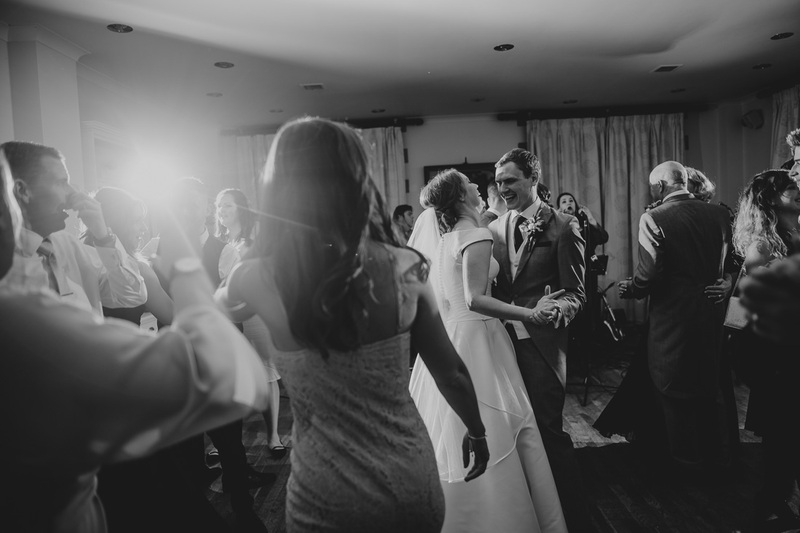 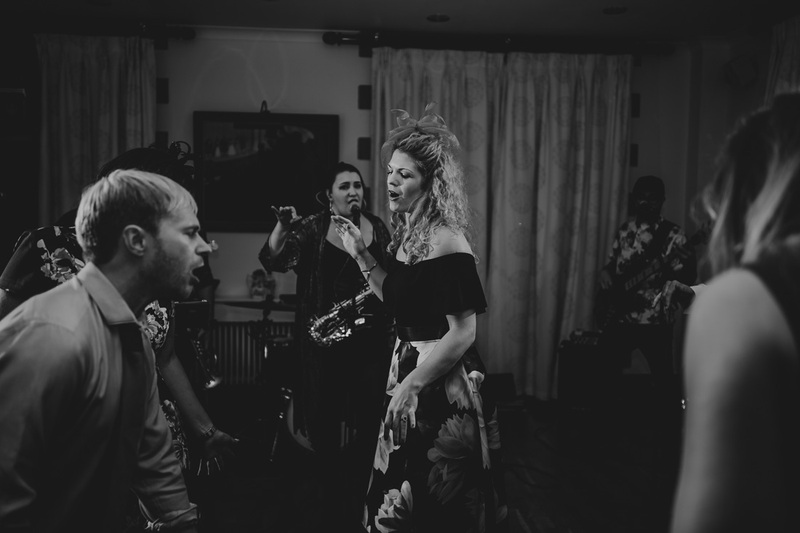 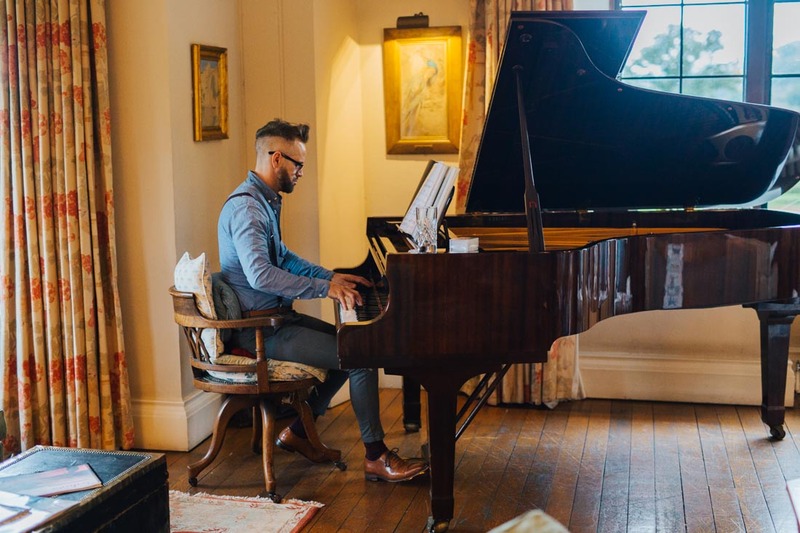 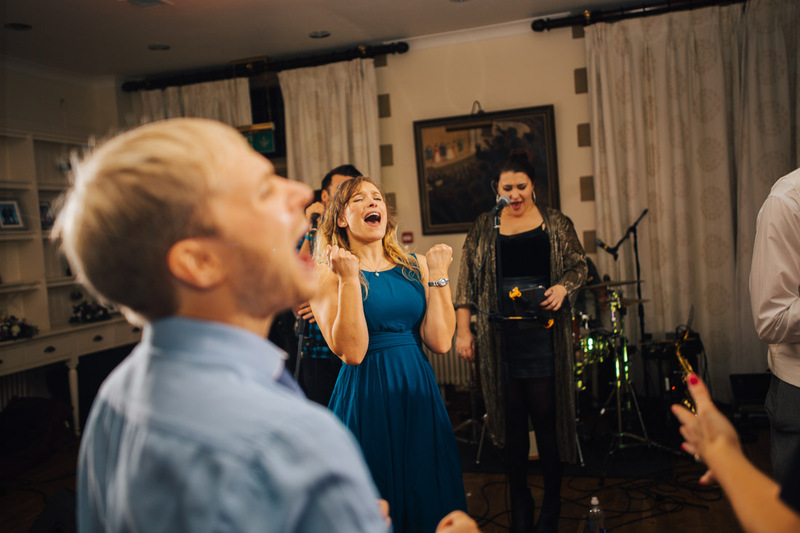 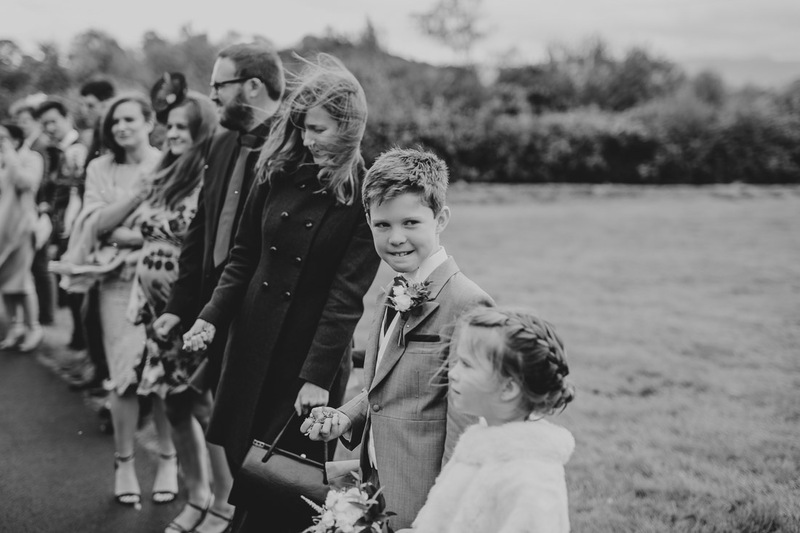 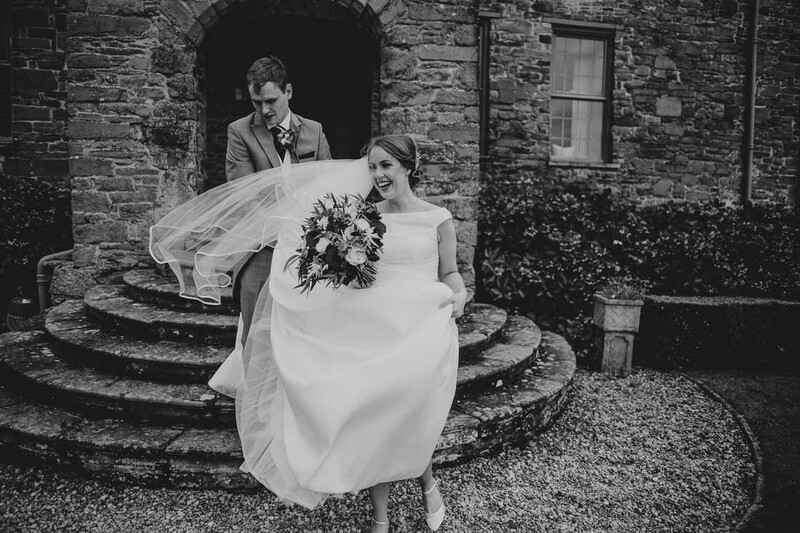 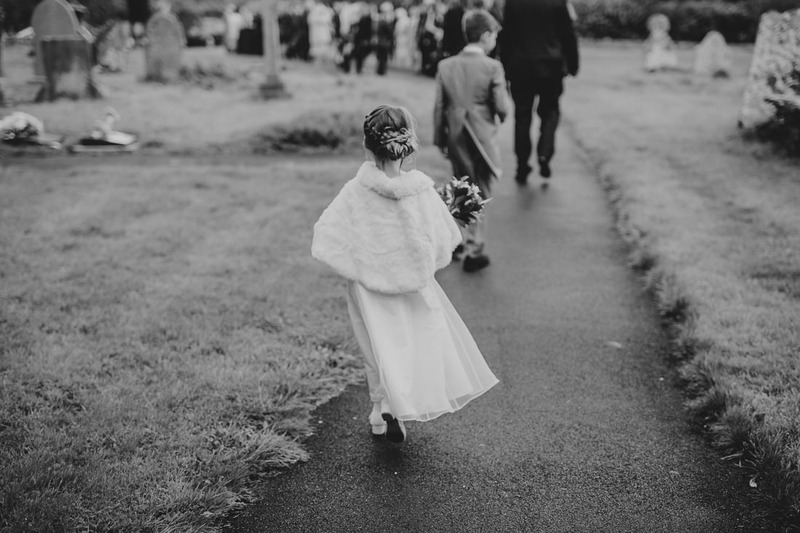 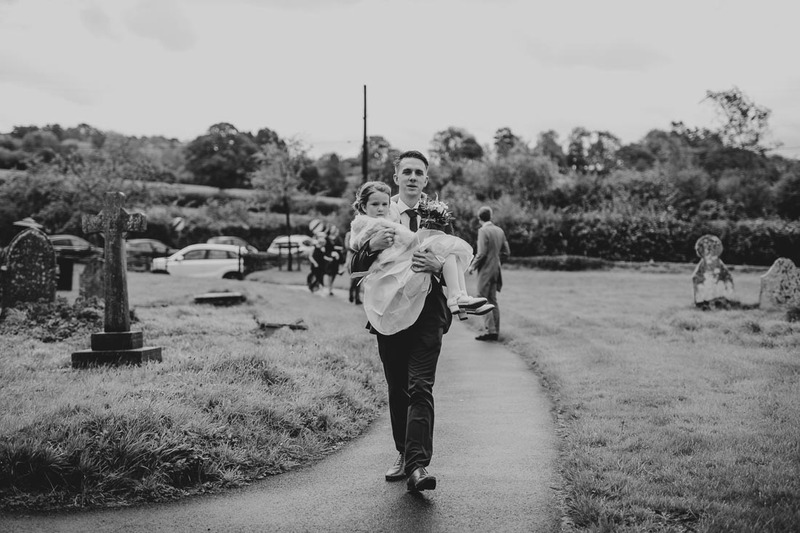 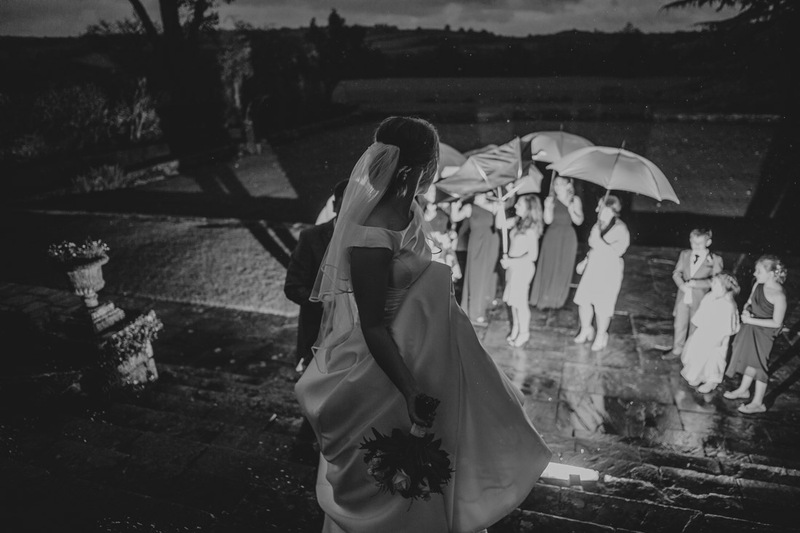 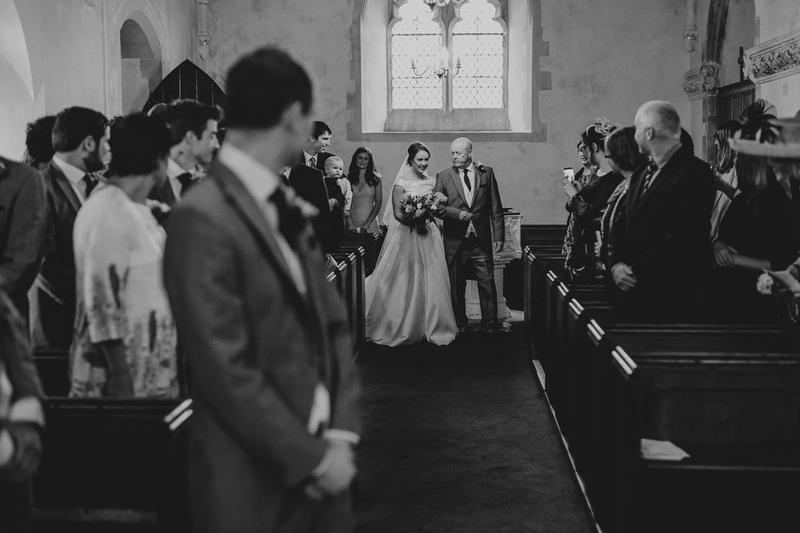 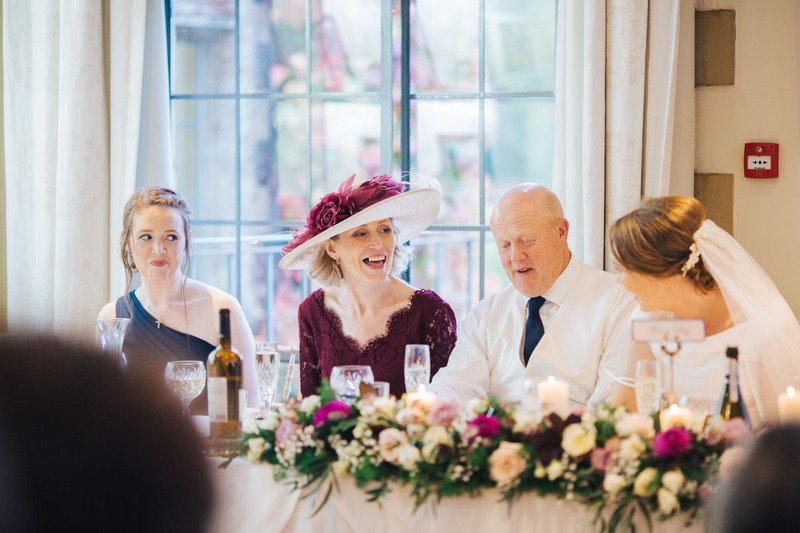 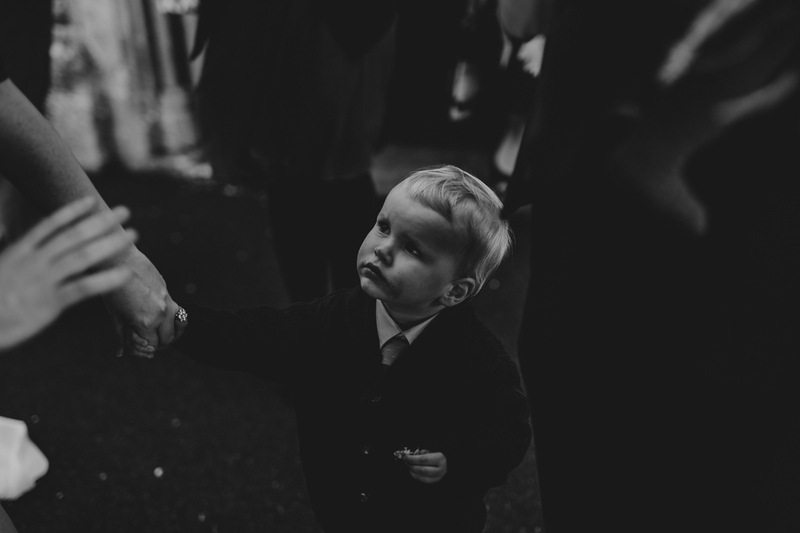 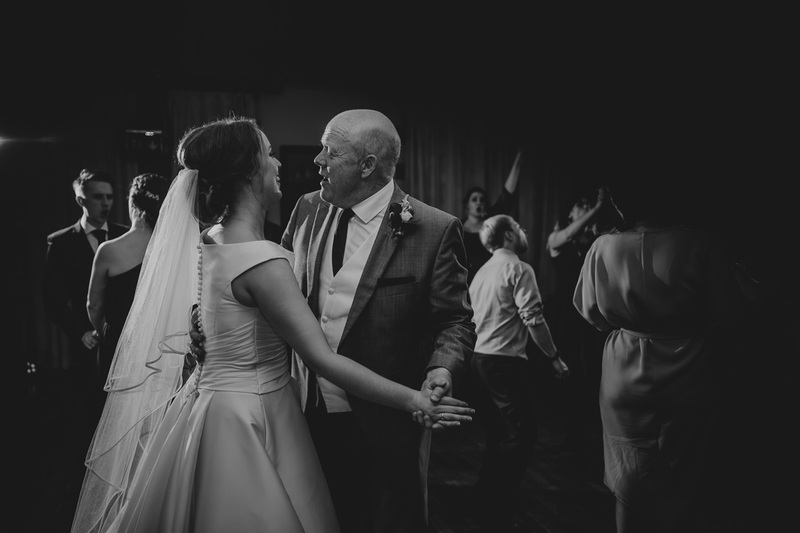 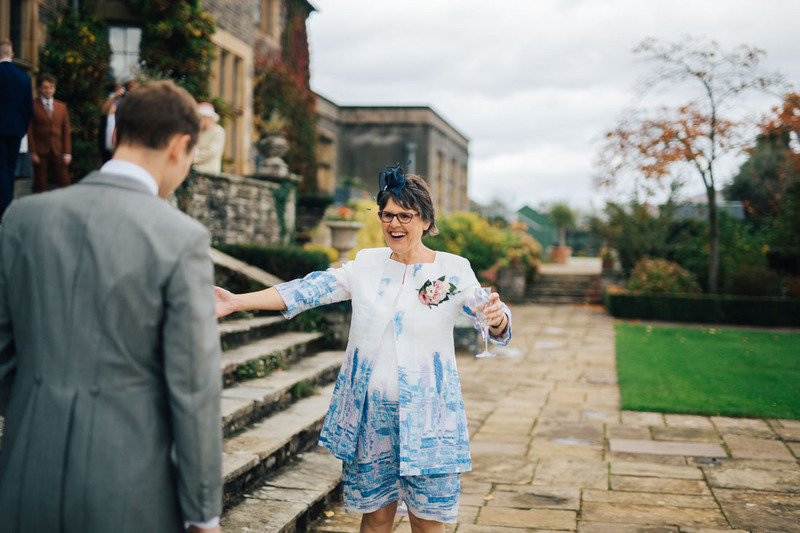 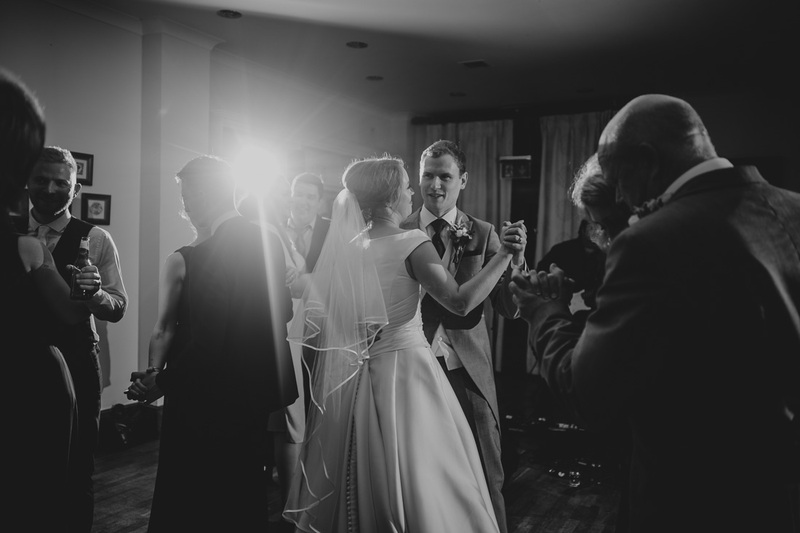 It made for some dramatic photographs, but we headed quickly back to the warmth and safety of Llangoed Hall to join the guests. 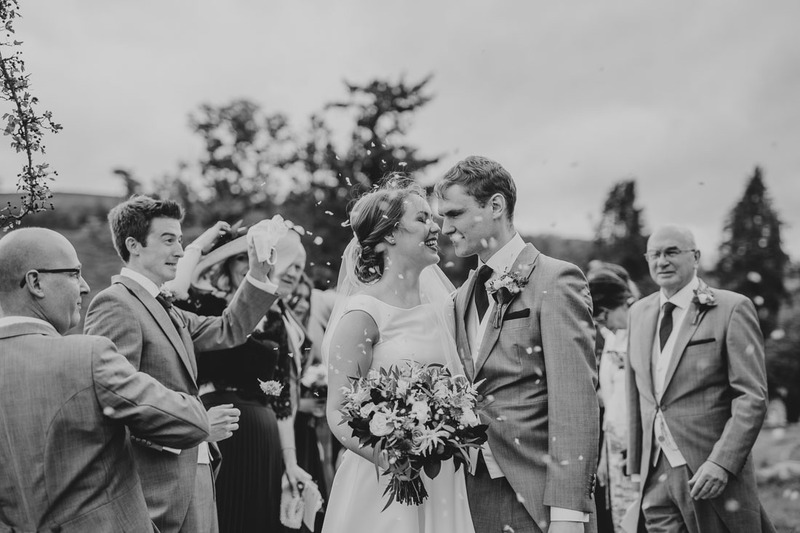 The sky cleared after awhile and the celebrations truly began!